We purchased the IDAutomation ASPX Data Matrix Barcode Generator Script (for use with SSRS). We deployed it to our IIS server – it is working beautifully! 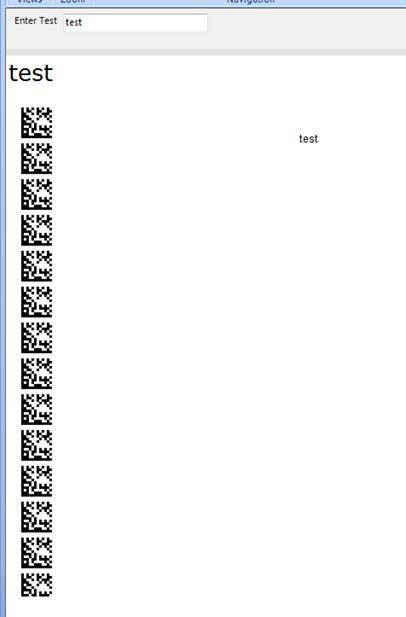 However, in the Report Builder, it keeps repeating the DataMatrix barcode image (see image 2 below). Should I need to set anymore parameter/properties in handling this issue? It seems you have the RepeatY property set (as in the posted image shows). Try changing this to Clip and test the effects. Jayp	 i followed the below tutorial. the property does not have disable option. the BackgroundRepeat has options RepeatY,RepeatX,Default,Clip.